Rumours, falsehoods and blatant fabrications about the side effects of vaccination spread faster than the common cold, leading to misplaced fears and refusal to get vaccinated, which is among the most cost-effective ways of preventing disease and death. Vaccination prevents 2-3 million deaths worldwide each year, and an additional 1.5 million lives would be saved if everyone got vaccinated, according to the World Health Organization (WHO). Vaccinating at least 95% of the population builds community immunity and protects even those who have missed vaccination and remain susceptible to infection. Mass vaccination led to the global eradication of smallpox in 1979, with the last case reported in Somalia in 1977. Caused by the variola virus, smallpox was a devastating disease that infected at least 50 million people a year globally in the 1950s and killed an estimated 300 million in 20th century, compared to the 100 million people who died in wars and armed conflict during the same period. India was declared free of smallpox two years after the last indigenous case was reported in the Katihar district of Bihar on July 5, 1975. Mass vaccination campaigns made eradication possible within a year of smallpox devastating Bihar, Odisha and West Bengal in 1974, when India recorded at least 61,000 cases and 15,000 deaths. The global polio eradication efforts best exemplify vaccination’s hits and misses. India got polio cases down from 741 in 2009 – the highest in the world — to one within a year, with the last case was confirmed in West Bengal on January 13, 2011. Gaps in vaccination has lef to polio persisting in neighbouring Pakistan and Afghanistan, which together had 50 cases last year and have reported one case each in January, 2019. Resurgence of vaccine-preventable diseases led to the WHO to list “vaccine hesitancy” – the reluctance or refusal to vaccinate despite availability and affordability – as one of the top 10 threats to global health in 2019, along with air pollution and climate change; non-communicable diseases like heart disease, diabetes and cancers; global influenza pandemic; antimicrobial resistance; and infectious diseases such as ebola, dengue and HIV. India’s public health gains accrued from polio eradication are being whittled away by the uninformed resistance to measles-rubella vaccine, which is given in two doses to children aged 9 months to 15 years. 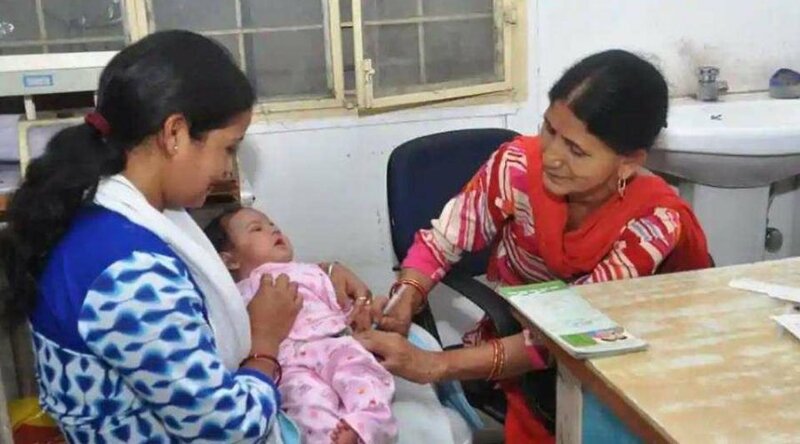 Parents are leading the charge in many states, including in Delhi, where they stalled the campaign by moving Delhi High Court, which issued an interim order saying all efforts must be made to get parental consent before vaccinating children. MR vaccination coverage ranges from a high 100% in Himachal, Arunachal and Telangana, to at least 95% in Karnataka, Tamil Nadu, Goa, Andhra, Haryana, Uttar Pradesh and Odisha, 87.62% in Maharastra. The campaign is currently running in Bihar (37.58% coverage till Feb 6) and Madhya Pradesh (51.04%), and are scheduled for July in Rajasthan and August in Sikkim. The MR vaccine is safe and has saved more than 21 million lives since 2000, , according to WHO. Vaccine denial, however, has led to a 30% spike in cases worldwide since 2016, taking the cases to 6.7 million and deaths to 110,000 in 2017. Measles is highly contagious and causes death and debilitating complications, including encephalitis (swelling of the brain membranes), severe diarrhoea, pneumonia, ear infections and permanent vision loss. In 2019, the WHO plans to ramp up coverage of HPV (human papillomavirus) to eliminate cervical cancer, which is the second leading cancer in women after breast cancer. HPV vaccination ran into controversy in India during the national and state governments’ community “demonstration project” to vaccinate 10-14 year old girls in Khammam district in Andhra Pradesh and Vadodara district in Gujarat, with the project being stopped in 2010 after rumours linked vaccination to deaths of girls. With fake news spreading within minutes on social media, public health professionals have the additional task of debunking emotionally-charged falsehoods. With lives at stake, winning the communications battle against rumours is imperative, we must all do our bit to fight falsehood with facts.